We first met as freshmen in college when we had a math class together. We didn’t start dating until three years later, when we ran into each other at a friend’s house. We’ve been together ever since! We have been together for one year; but it really only took one date for us to know that we were going to love each other forever. 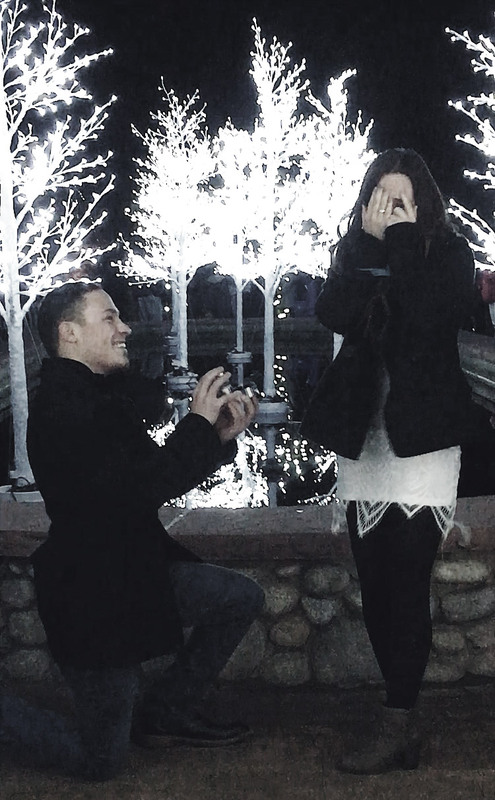 Our proposal story was more perfect than we could have imagined. It all started on the morning before Christmas Eve, when we were having breakfast at my favorite bakery. Gino disappeared leaving me (Maddie) with my mom and sisters. I was given a card and a box that had a letter from Gino explaining that I was about to go on a scavenger hunt to find him! The day was filled with amazing activities—everything I had wanted to do to spend time with my family, including manicures and choosing the perfect dress for the night. Throughout the day, at each location I would find a new box with a new clue inside. The last clue was to find Gino in the “Garden of Lights.” My family took me to the Hudson Gardens in Denver, where I saw him standing like my own Prince Charming under a lit up gazebo. I walked through a crowd of people—while crying my eyes out!—and he proposed with the most perfect ring I have ever seen. It was the most amazing night! 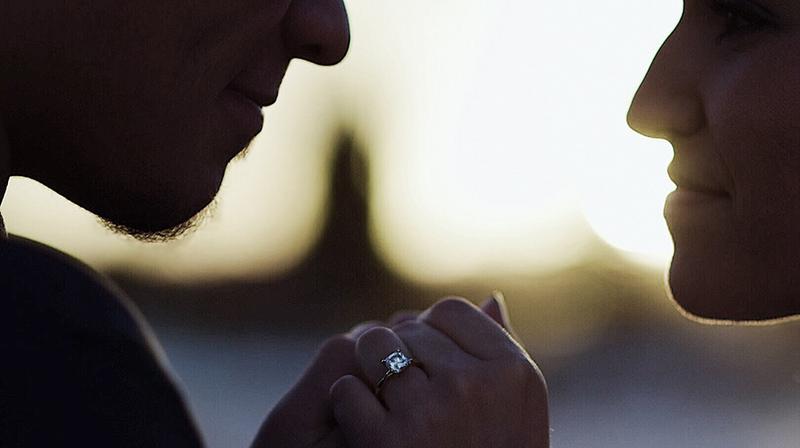 We are extremely happy that we chose Forever Artisans to create the perfect ring. Patrick was exceptional and made the experience so easy and personal. He made sure to listen to every detail of what we were wanting. The ring turned out to be so much more than anything we could have expected. The design for our ring came from the idea of wanting something simple that would represent us as a couple. 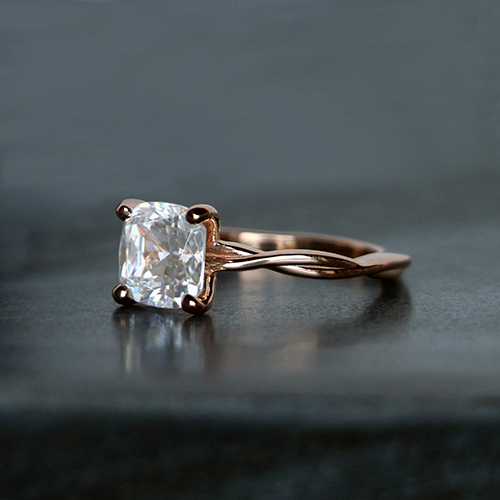 We wanted to go with rose gold to make the ring unique, and wanted just one single diamond to keep it simple but beautiful. The twisted vine setting is our favorite part. Gino is a winemaker, so when Patrick discussed a twisted band with Gino, it was just the perfect fit. Forever Artisans went above and beyond our expectations! We have already referred some of our friends and will definitely be coming back to have the wedding band done! 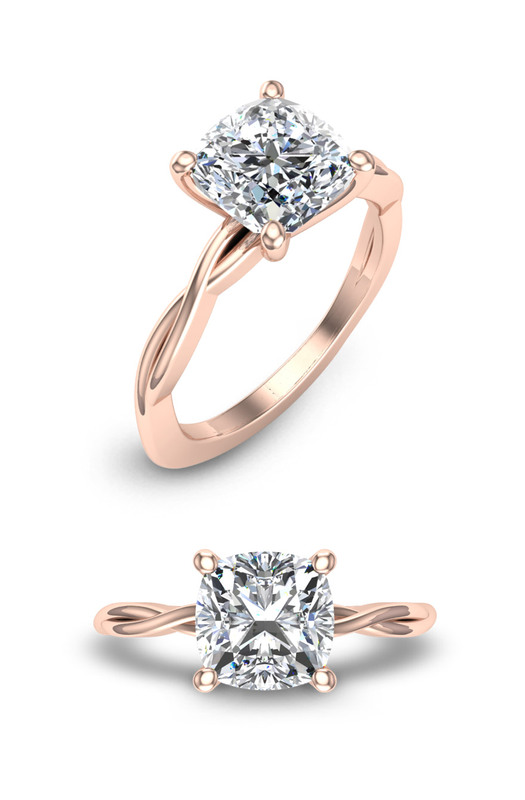 This is a simple solitaire with a twist—pun intended! The added dimension to the band sets it apart from a plain solitaire. It is elegant, and a perfect example of an understated design with flair. Beautiful story and the ring is as beautiful as the story...congratulation Vino and Maddie. 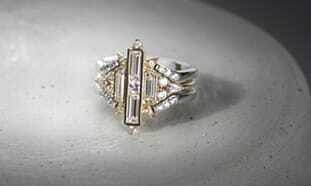 This ring is stunningly beautiful! What a wonderful story too.